Tiffany and Ray celebrated their marriage at the scenic Skamania Lodge. Tiffany looked so gorgeous in her elegant gown that I could have photographed her all day. Ray‘s joyful reaction upon seeing her for the first time says it all. 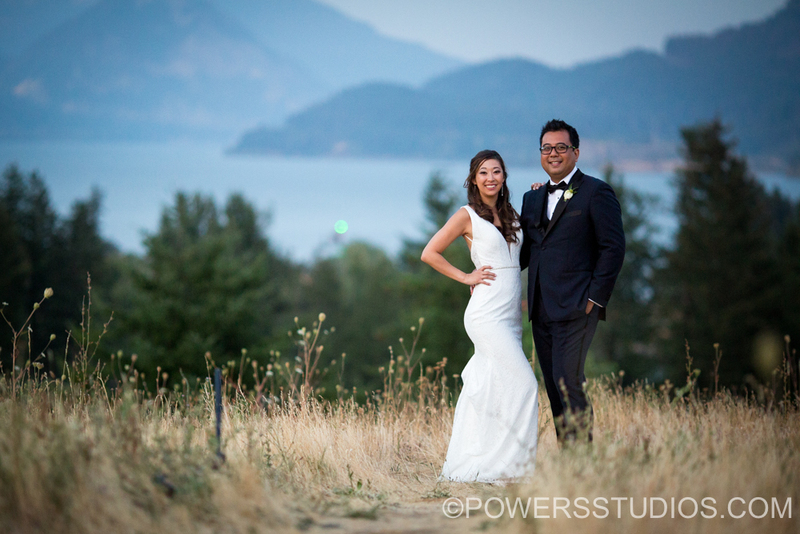 The couple looked so lovely together, especially with the breathtaking view of the Columbia River Gorge as a backdrop. The newlyweds savored every moment of their wedding day with their loving family and friends, and I was honored to be a part of their special day. My best wishes and congratulations!